Welcome our newest advertiser, Chanel! She's the owner of a fabulous art company that sells notecards, canvas prints, art prints, greeting cards, home goods, apparel, and more! I grew up in the most amazing and magical city in the United States. Visiting my hometown of New Orleans is like opening a wonderful, colorful, vibrant, and musical living art history book. With such a creative and colorful beginning, having some sort of artistic talent is almost guaranteed. I have dabbled in all sorts of visual arts my entire life. I have taken up photography, scrapbooking, crocheting, and sewing to name a few. I started painting to fill the walls of my first adult home after I got married. I never really picked up a paintbrush before that time. From that first experience of painting, I knew I was on to something special and I have not stop painting since. My muse for much of my children’s art is my daughter. You will see her likeness in a lot of my paintings. 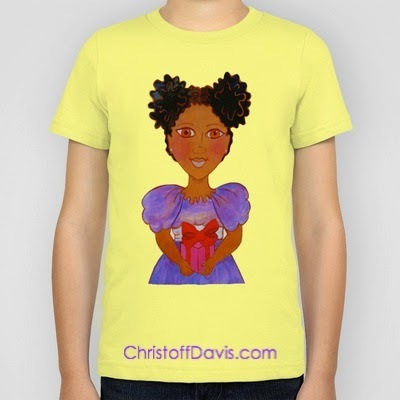 In fact she inspired my series “Meme and Friends.” I wanted to fill my home with positive and joyful representations of people of color so that my daughter would see those images growing up. 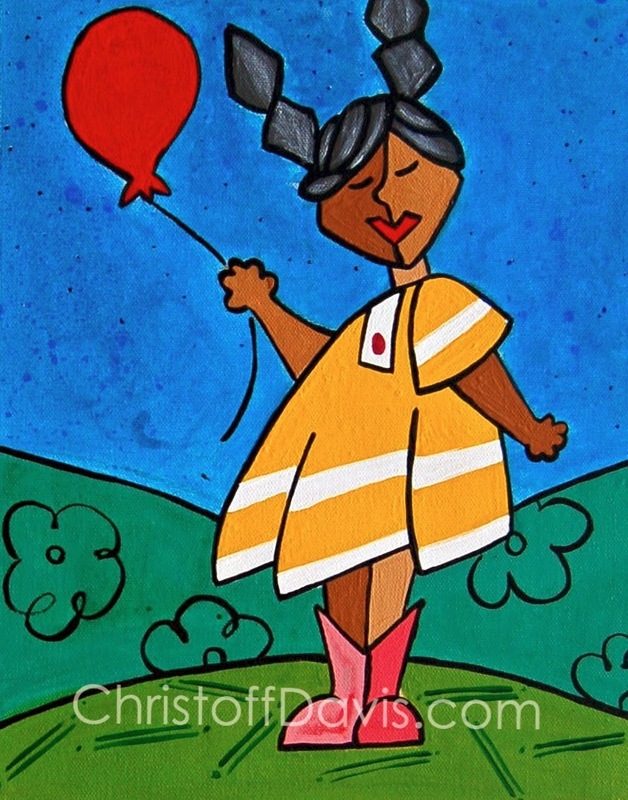 My art is very colorful and vibrant, that’s why my tagline is “A Splash of Color to Brighten Your Heart Everyday”. I will be working on new holiday themed paintings for the next couple of months, so check back often to see all of my latest creations. Chanel has offered White Sugar, Brown Sugar readers a 10% off coupon code (use SUGAR at checkout) on their first purchase of small or large notecards. 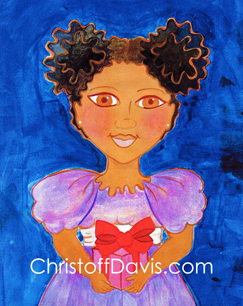 Learn more about Chanel's art by connecting with her on Facebook, Instagram (ChristoffDavis), and Twitter. Should It Happen, What Would Happen?